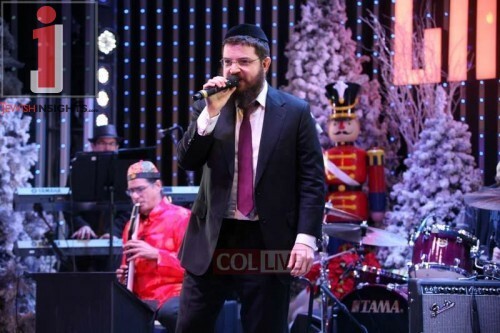 Singer Benny Friedman and others rocked Chabad of the Valley’s Chanukah at CityWalk at Universal Studios in California, bringing the joy of the holiday to thousands of Jews of all types. 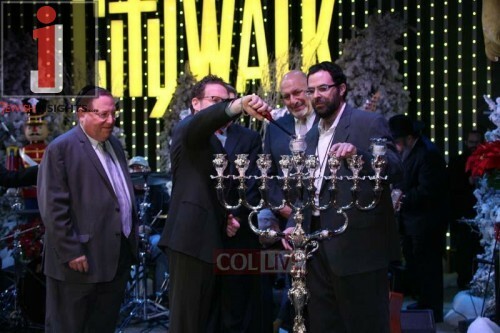 Chabad of the Valley’s Chanukah at CityWalk celebrated its 10th anniversary this year. The largest Chanukah celebration on the West Coast with thousands in attendance has become an annual fixture on the L.A. calendar. 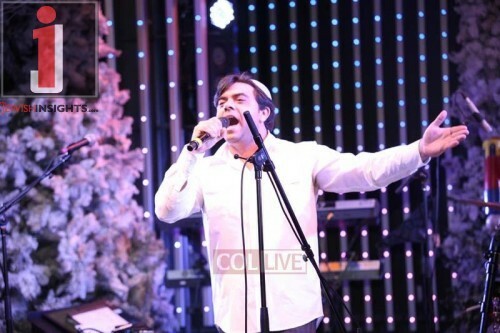 According to Rabbi Mayer Greene, the event’s emcee, the exciting concert and celebration had the participation of those who identify themselves as orthodox, conservative, reform or even unaffiliated Jews. 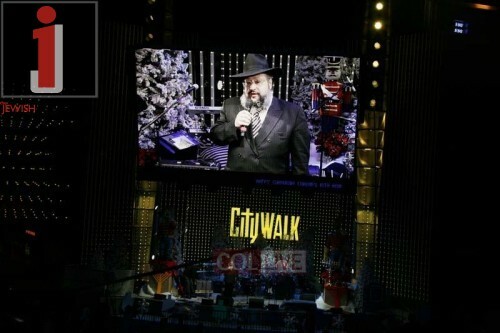 Event coordinators, Rabbi Yossi Baitelman of Chabad of Studio City and Rabbi Nachman Abend of Chabad of North Hollywood stated that on any given day, many thousands of people find themselves visiting CityWalk. This, on top of the multitudes that flocked there specifically for this event, truly fulfilled the Lubavitcher Rebbe’s directive of spreading the light of Chanukah to the masses. 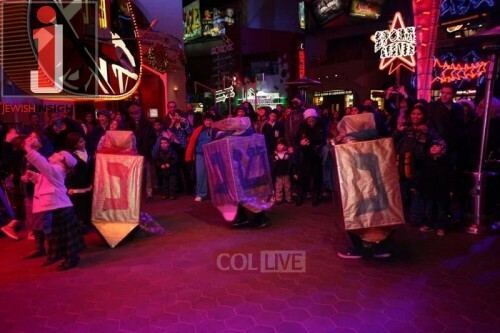 On Tuesday evening, the first night of Chanuka, Universal Studios CityWalk was transformed into a “Chanuka Wonderland” with a vast array of entertainment, face painters, arts and crafts, kosher food and a musical version of the story of Chanukah. 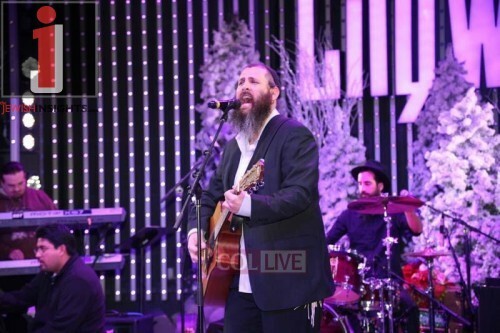 The onstage entertainment was highlighted by a rousing performance by renowned Chassidic singer Benny Friedman and dynamic sound of Pardes Rock. 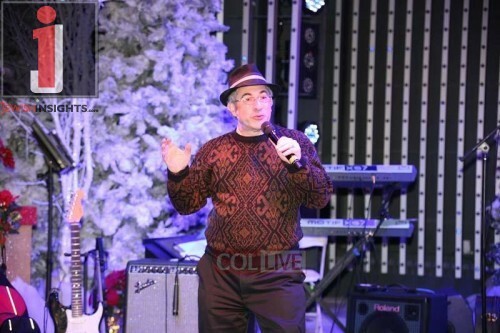 Other musical entertainment included a unique performance by The Mystic Sideshow, Israeli singer Eli Buzaglo and the amazing sight and sound of Kenny Ellis’s Chanukah Swings. “Our aim was to produce an evening filled with a diverse range of entertainment and talent appealing to people from all walks of life,” stated Jonathan Herzog, one of the producers of the event. Local dignitaries included Los Angeles County Supervisor Zev Yuraslovsky, Los Angeles City Councilmen Paul Koretz, Paul Kerkorian and Dennis Zine. Accompanied by Rabbi Yossi Malka, of Chabad of Encino, the President of Universal Studios Hollywood, Mr. Larry Kurzweil was on hand to officially welcome the crowd and light the beautiful silver Menorah. 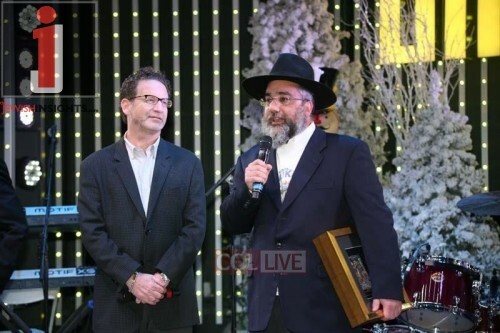 Also on hand to address the crowd were the Executive Director of Chabad of California Rabbi Boruch Shlomo Cunin, Executive Director of Chabad of the Valley, Rabbi Yehoshua B. Gordon and the Associate Director of Chabad of the Valley, Rabbi Mordechai Einbinder. 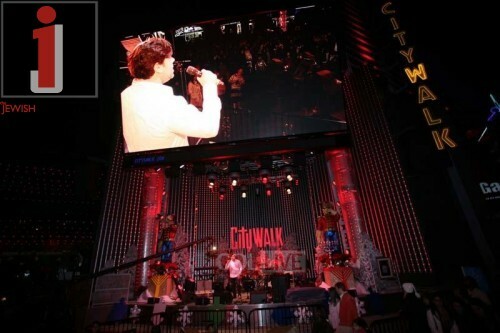 The new stadium sized Jumbotron Astrovision screen, the focal point of CityWalk, displayed all of the live onstage entertainment as well as numerous video clips produced by Rabbi Ari Greene. The highlight of the day, however, clearly was when just prior to the lighting of the menorah, the Rebbe was shown on the giant screen singing Tzomo Lecho Nafshi. “To see a place like this so completely taken over by the light of Chanuka is truly the fulfillment of Pirsumei Nissa!” remarked Rabbi Yanky Kahn of Chabad of Tarzana.